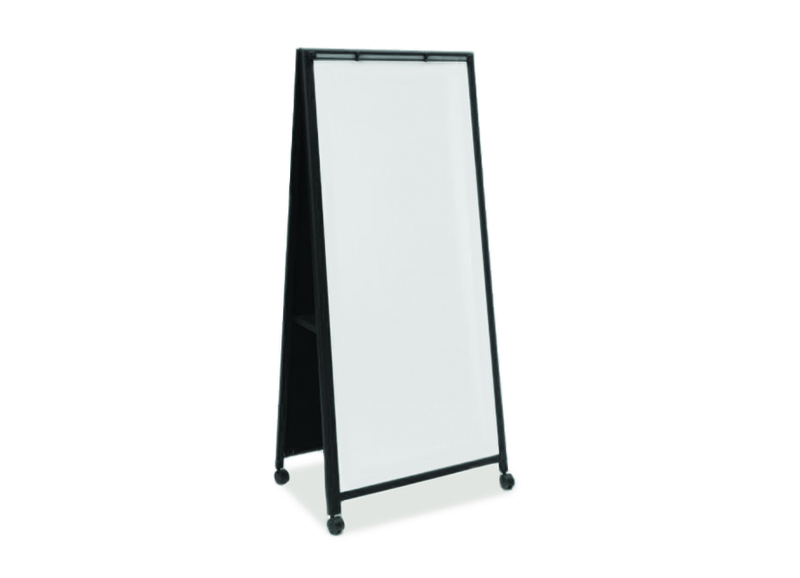 A-Frame Utility Mobile Markerboard features full-length LCS3 porcelain enamel steel writing surface both sides. 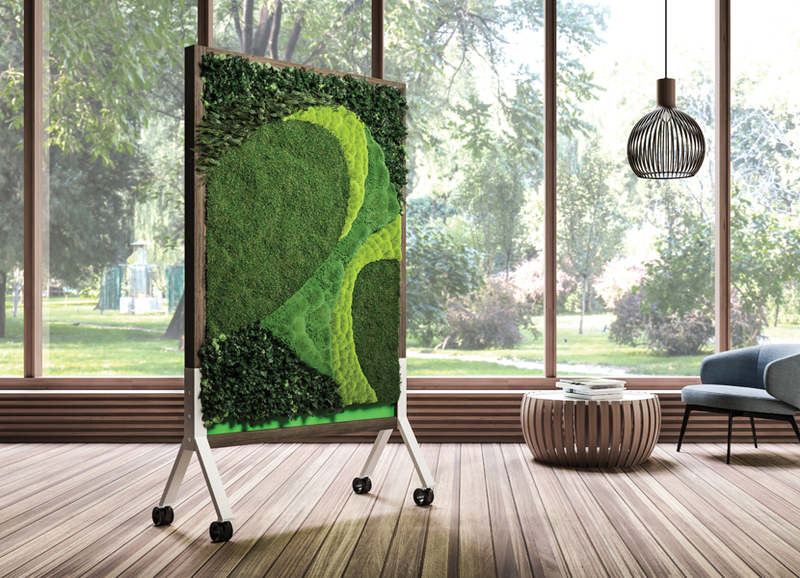 Unit has black powder coat finish aluminum frame. 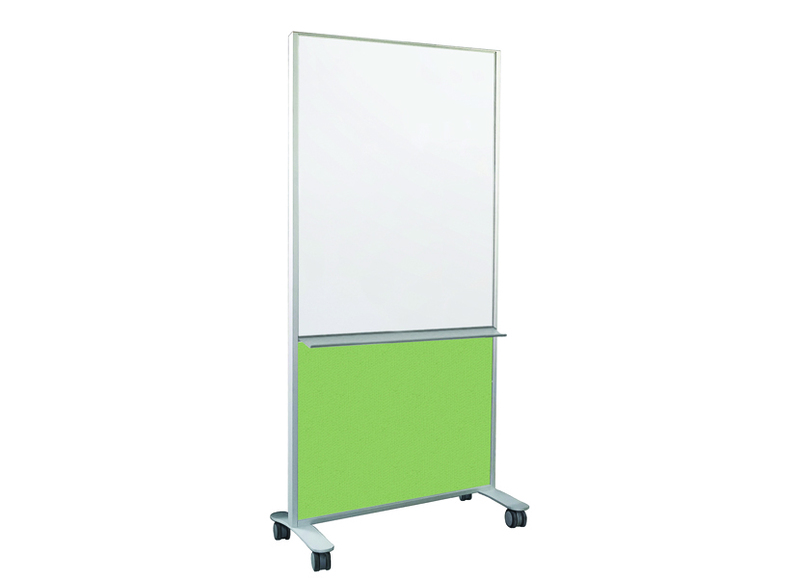 Display rail at top has hooks for use with flip charts. 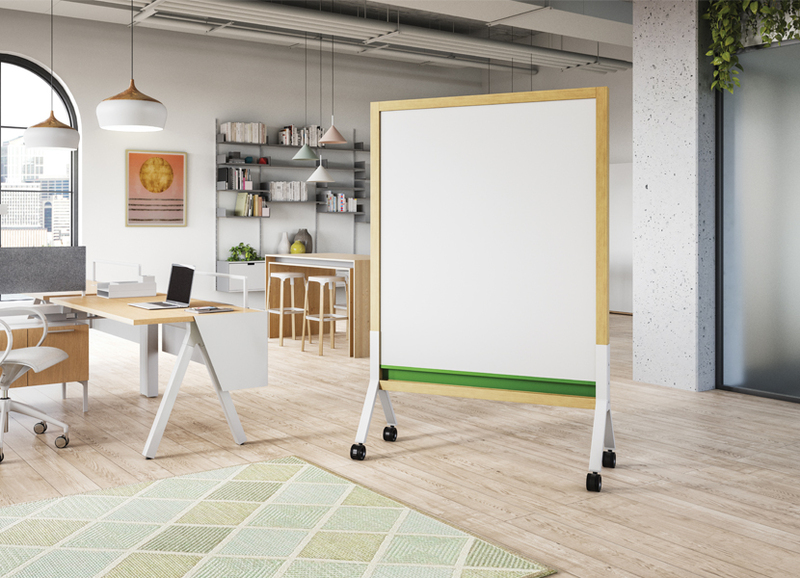 Locking casters provide mobility and stability. 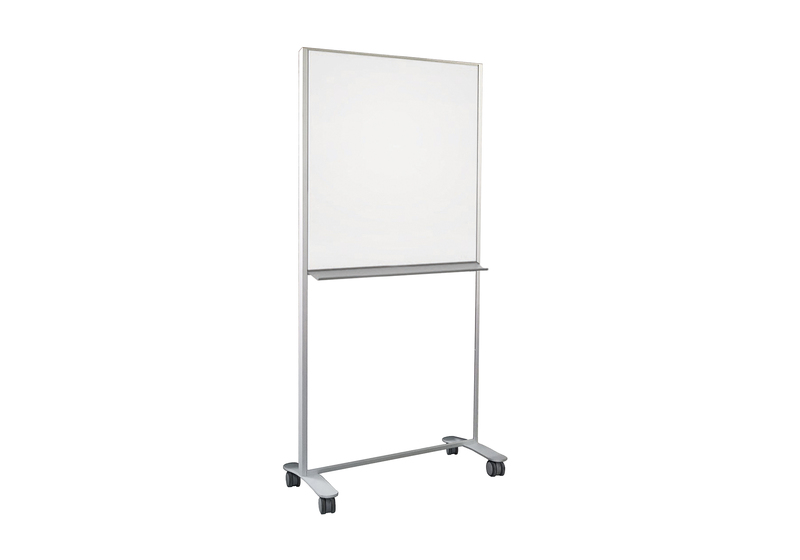 Markerboard is 66” H x 30” W.
UM-A-Frame 72" x 30" 120 lbs.